Comprising a sprawling constellation of artists, publishers, printers, papermakers, dealers, collectors, scholars, and curators, the “print world” occupies one circle in the ever-expanding Venn diagram of global contemporary art. In some arenas, there is perhaps a perception that this constituency is sited on the margins, removed from the center of activity, preoccupied with the minutia of connoisseurship, or the technical distinctions between aquatint grounds. It is true that printed art has its own trajectories and specific histories that both align with and deviate from the mainstream arc of art histories, and that the print world protects and preserves these legacies, ensuring their continuation. But rather than seeing this as a moribund effort, I would argue that printmaking is currently experiencing a stealth renaissance, finding ways of insinuating itself into the larger activities of contemporary art without necessarily announcing itself as doing so. The conceptual concerns of printmaking – collaboration, process, copy/original, reproduction, and sequence and seriality – are wholly present in work across disciplines, resulting in exciting new projects, both print (made and distributed within the realm of the print world) and printed (incorporating aspects of printmaking, but within a broader, non-print-specific purview). This talk will examine some of the myriad ways in which the multivalent influence of printmaking is manifesting itself in a global context, and leaving its imprint on contemporary art at large. 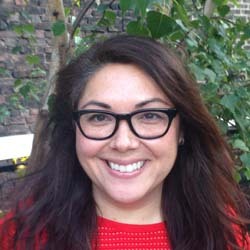 Sarah Suzuki is Associate Curator of Drawings and Prints at the Museum of Modern Art. At MoMA, Ms. Suzuki’s exhibitions include Jean Dubuffet: Soul of the Underground (2014-15) The Paris of Toulouse-Lautrec: Prints and Posters (2014-15); Wait, Later This Will All Be Nothing: Editions by Dieter Roth (2013); Printin’ (2011) with the artist Ellen Gallagher; Ideas Not Theories’: Artists and The Club, 1942-1962 (2010) and Rock Paper Scissors (2010) with Jodi Hauptman; Mind & Matter: Alternative Abstractions, 1940 to Now (2010); and Wunderkammer: A Century of Curiosities (2008), as well as solo exhibitions of Meiro Koizumi (2013); Yin Xiuzhen (2010); Song Dong (2009); and Gert and Uwe Tobias (2008). Among her publications are 2012’s What is a Print?, as well as contributions to numerous books, catalogues, and journals. A graduate of Dartmouth College and Columbia University, she has lectured widely and taught numerous courses on the subject of modern and contemporary art.